Picked this up in town today. 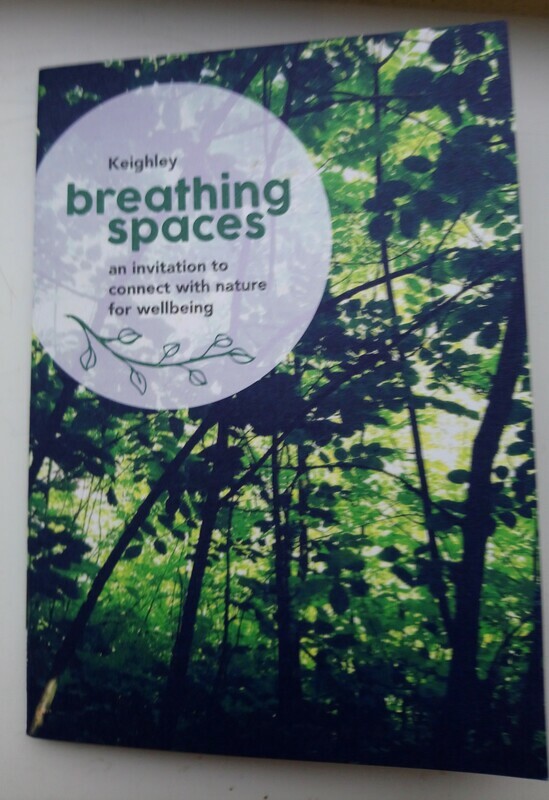 A lovely little leaflet with info on the beautiful green spaces in Keighley - including Park Wood. There's also some info on short exercises to try out while you're enjoying the outdoors to prompt a deeper connection with nature. Friends of Park Wood will be hosting a guided bat walk in Park Wood on Friday 28th September, starts at 6.30pm and will finish around 7.30pm. 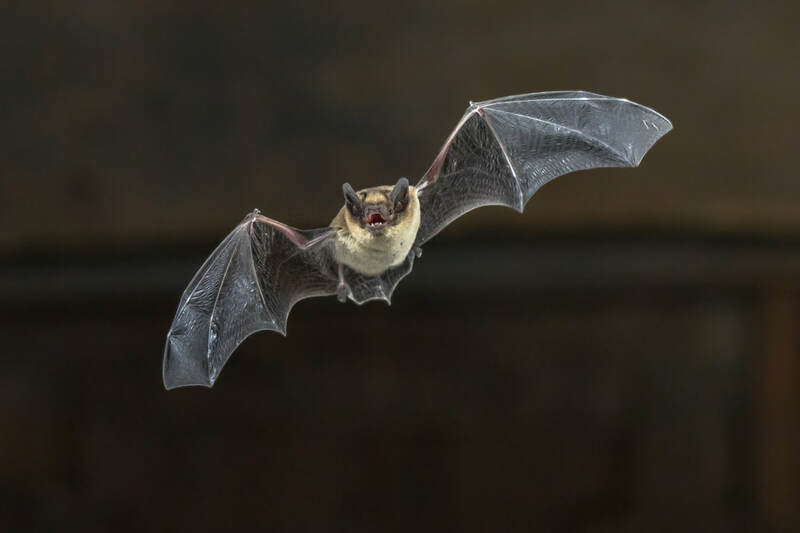 Andrew Milne who regularly does guided bat walks for Friends of Ilkley Moor will be taking us round Park Wood as we identify bats in the woodland. We will also learn how to use a bat detector. Meet at the gate on Kendal Street at the bottom of the cobbled path. Bring a torch and wear comfortable shoes / boots for walking and waterproofs. Fancy doing something different at the weekend and getting in the community spirit? 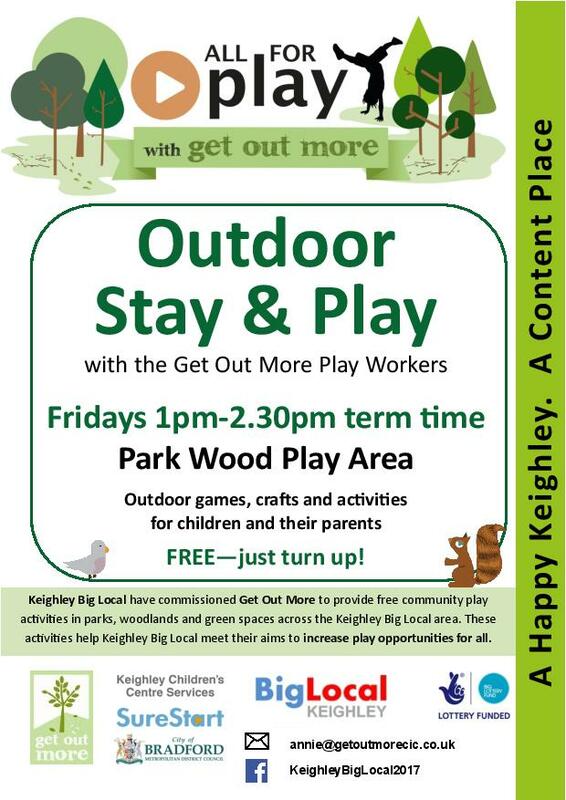 Friends of Park Wood are inviting people of all ages to come and join them for their annual summer social in Park Wood, Keighley. The event is free to attend and will take place 2 - 4.30pm on Sunday 5th August in the picnic clearing area in the middle of the wood (follow the signs). No need to book - just turn up. There will be free cakes and refreshments on offer and a chance to have a bit of a laugh playing games in the beautiful and relaxed setting of Park Wood. Come along, bring your own mug and join the fun. Child friendly dogs welcome too. Huge thanks to Keighley Big Local for giving us a grant to buy plants. 50 bare root under-storey saplings of Hawthorn, Blackthorn, Dogwood, Dog Rose, Hazel, Spindleberry and Elderberry. We will be planting further under-storey saplings and wildflowers in the Autumn. The latest news concerning Park Wood and other woodland related information.